Just back to stupid real life after heading out to the Gulf Stream with the Seabirding Pelagics and the crew of the Stormy-Petrel II yesterday. 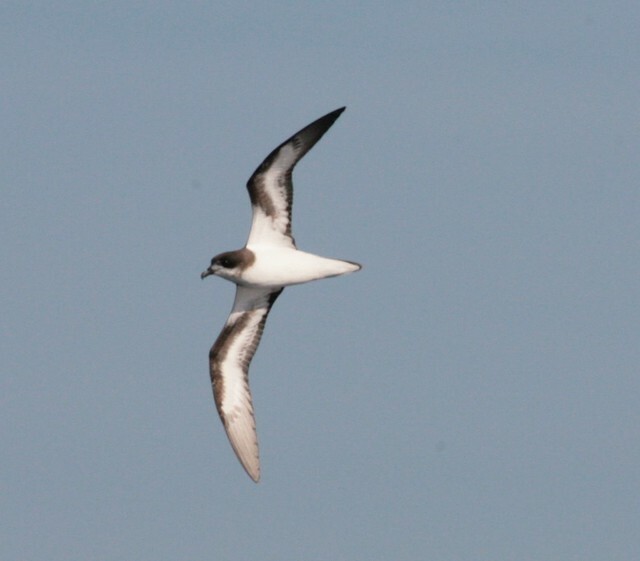 The trip was just incredible, as we get multiple, sustained looks at a Bermuda Petrel - one of only about 400 individuals of this species left on Earth, distant looks at a Fea's Petrel, and close-up views of South Polar Skua, Black-capped Petrel, and a host of other great birds. My personal goal was not to get seasick. Last time I was out on this boat, I got an estimated 0 hours of sleep and ended up sick and sleeping in the cabin for most of the trip. This time I slept a little better, but didn't use any seasickness aids or anything, because I am dumb and think I'm tough. I felt pretty queasy and fully exhausted much of the time, though I didn't get sick, and wished I could have been out on deck more, but hey what can you do? Thank goodness for the incredible crew of spotters. 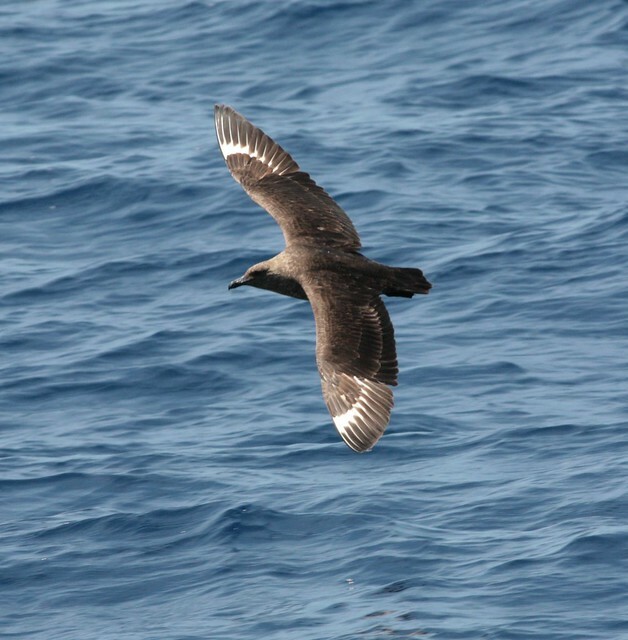 Bermuda Petrel. This is an incredibly rare bird, and the prolonged looks it gave us on two occasions (we later refound what was determined to be the same bird) are almost unprecedented. Brian Patteson's Stormy-Petrel II is pretty much the only boat in the U.S. where this species is possible. Read here to learn about ongoing conservation efforts to protect this endangered species. 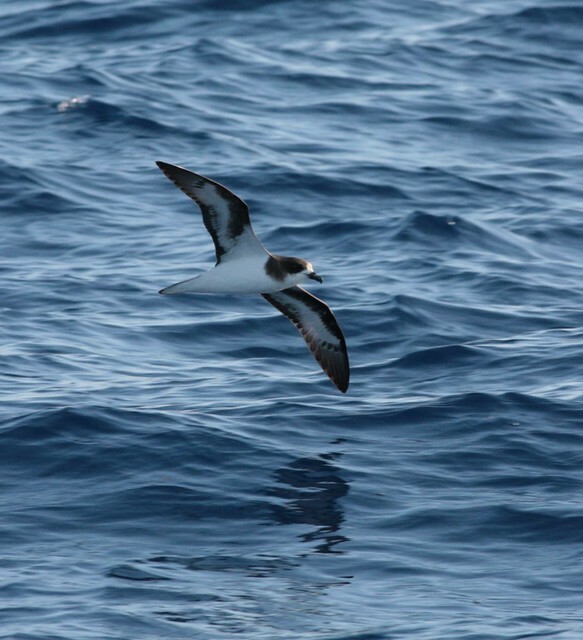 I also saw one Fea's Petrel (pronounced Fay-uh, apparently!). I was napping in the cabin during one of my bad spells when the shout rang out on deck. 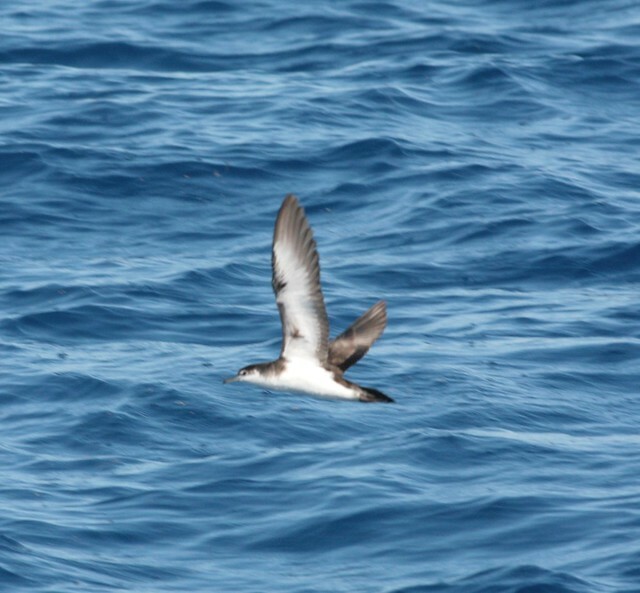 I jumped out to see a small gadfly petrel with dark underwings cruising away, in the company of a few bigger Black-capped Petrels. It was not an ideal look, but a look nonetheless. I did not see the bird that was seen later, much closer to the boat. 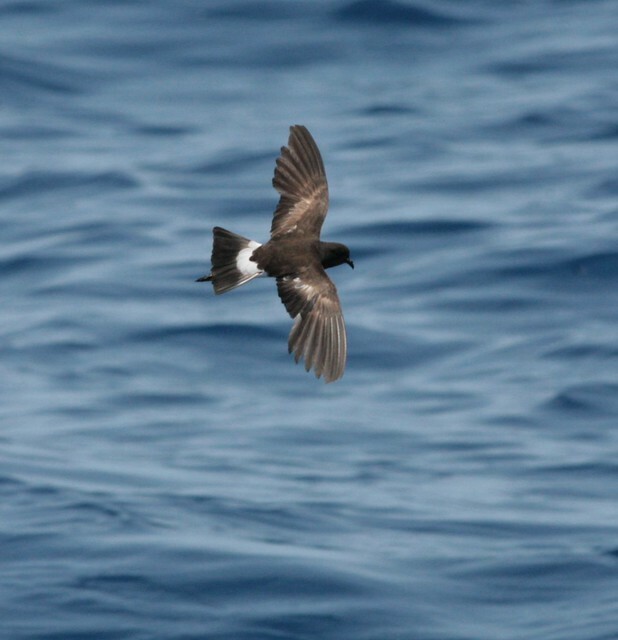 Apparently Steven Howell and some others who managed to get shots of the first Fea's think that the bird is a candidate for a Zino's Petrel, an extremely similar bird that has only been seen in North America one time, by Patteson on his boat. I can't speak either way to this ID, but wanted to point out that the debate was ongoing. 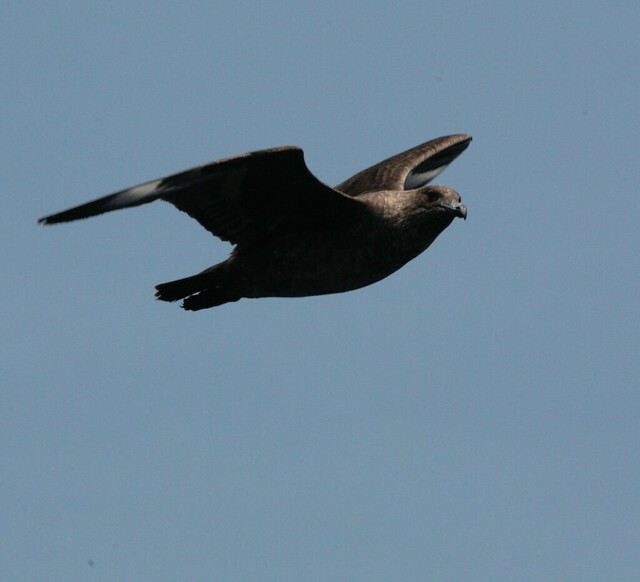 South Polar Skua. 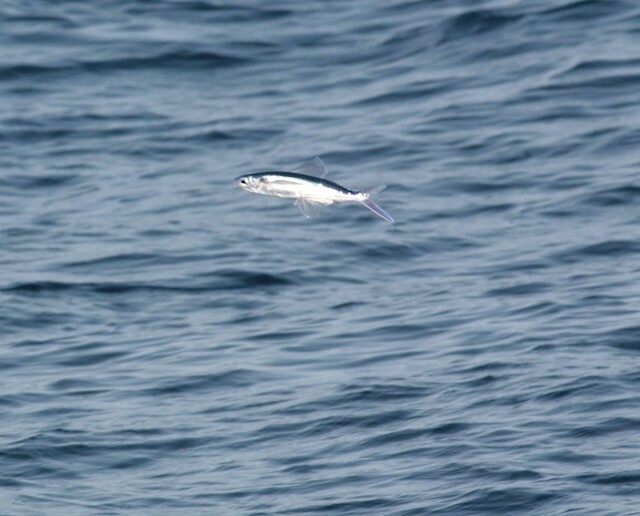 I had only seen this species once before, a far-off bird in the Gulf of Maine. This one spoiled us, circling the boat for nearly an hour. What an badass bird! 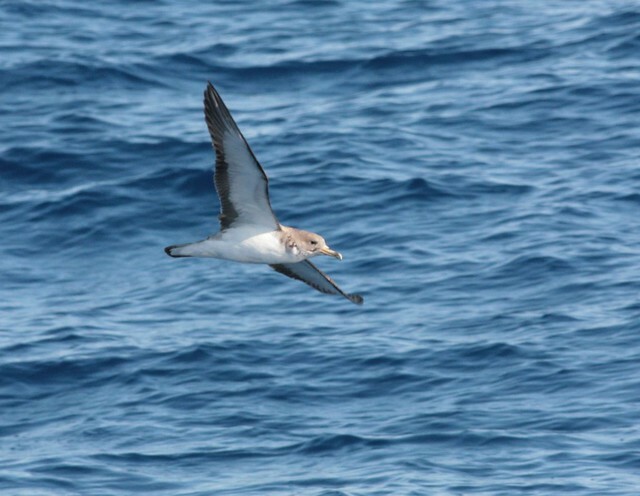 Cory's Shearwater, Wilson's Storm-petrel, blurry Audubon's Shearwater. Atlantic Necromancer. We were lucky enough to have Steven Howell on the boat, the guy who literally wrote the book on flyingfish, as well as probably my favorite bird book to come out last year, Rare Birds of North America. Great times. 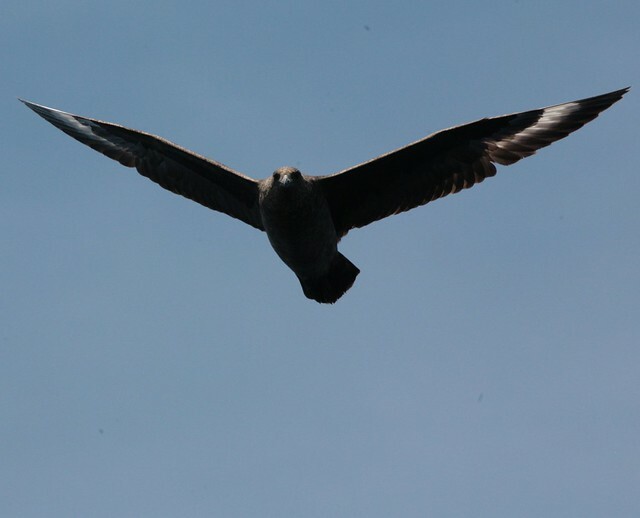 Thanks again to Brian Sullivan and Kate Sutherland of Seabirding. Not like I have to tell you, because every birder needs to take this trip at some point, but please go sign up and take a boat ride with them. It'll be one of the defining moments of your birding life, and you'll see some crazy stuff.